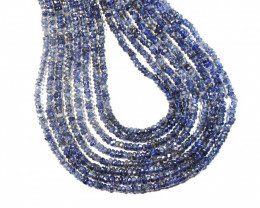 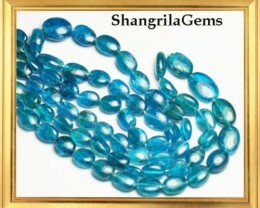 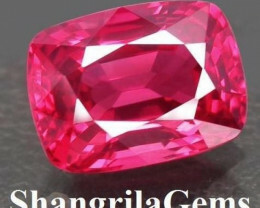 These are a fantastic gemstone and amazing price. 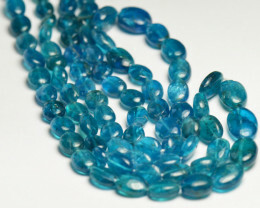 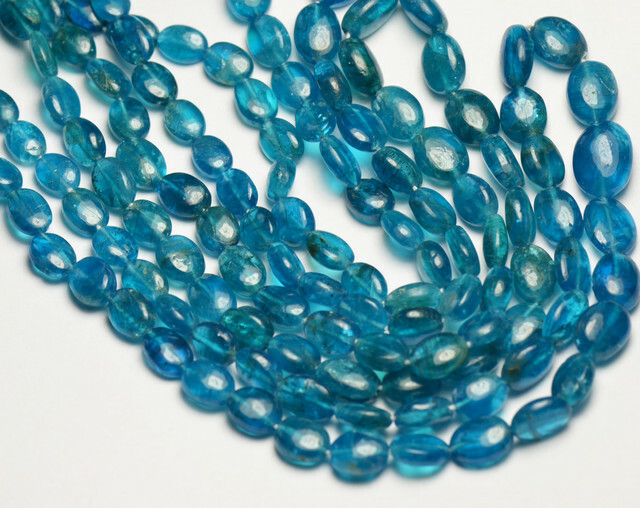 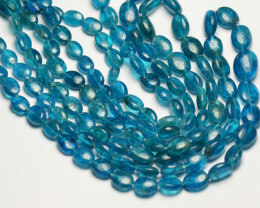 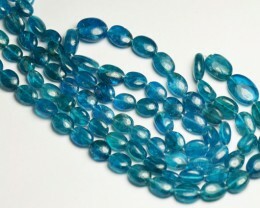 Superb deep blue Pacific turquoise Apatite beads with a hint of sea green. 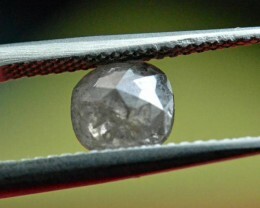 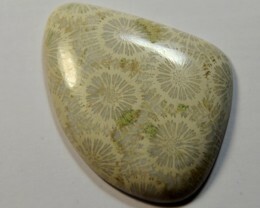 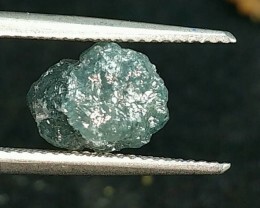 The luster is superb and there are some inclusions as you would expect from this gemstone. 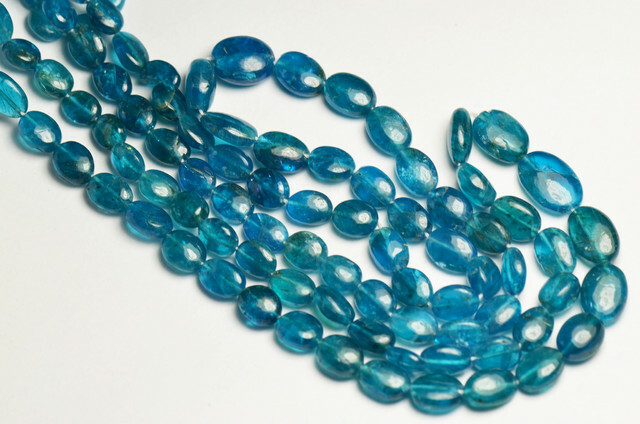 The lines of beads are graduated to the centre. The average bead measures 7.5mm with beads measuring from 5 to 10mm long by 5mm to 7mm wide and 4 to 6mm deep approx.